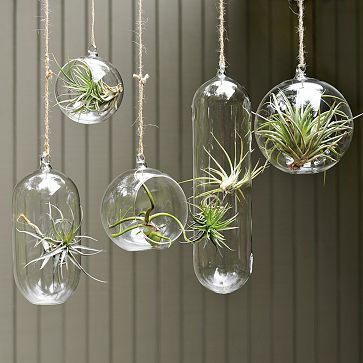 If you are tired of the traditional approach to indoor plants, you may want to draw on the inspiration of Shane Powers. He developed a new selection of beautiful and self-sufficient planters which can be used individually or grouped for maximum statement. The whimsical, graceful grouping above features the durable air fern – ideal for indoor gardeners with the blackest of thumbs. Visit the West Elm website to learn more about artist, Shane Powers and an inspirational video on arranging plant groupings.